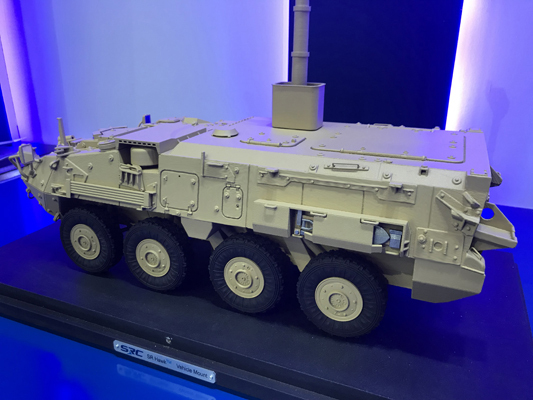 This is a 1:16 scale model of General Dynamics LAV III, built for trade shows and presentation. It depicts a variant with a modified hull, without a turret or otherwise a weapon station. Instead the model features a replica of a surveillance electronic device mounted on a telescopic mast. 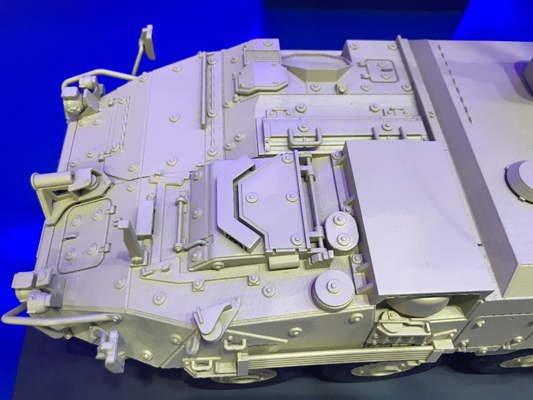 This rare model was developed in 3D software based on our 3D model of the base LAV III version. It was produced by rapid prototyping out of increased durability plastics (nylon), and assembled and finished manually. 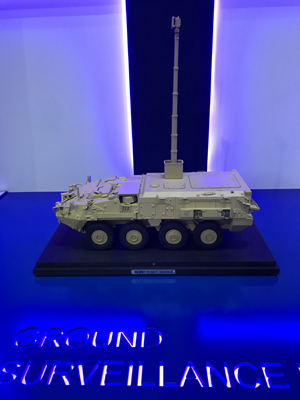 The model is mounted on a black painted composite base with a nameplate, covered with a clear protective cover and packed in a Pelican transit case for storage and transportation. 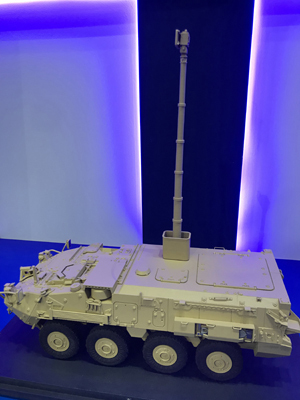 This model was exhibited first time at the 2019 IDEX show in Abu Dhabi, where it receives recognition and positive feedback.